There are a lot of people who are working on building their consulting businesses. They may already have a process in place for their marketing or for their selling, yet they’re not getting the results that they want. Oftentimes, it’s because they’re not working the plan even though they have the plan in front of them. Michael Norton, executive vice-president of corporate training for Sandler, says usually what’s holding them back is their own head trash, their own attitude. Michael’s role within his organization is to support other people in the organization by helping them with proposals, contracts, and presentations. He discusses what the process look like once he’s identified an ideal client, someone that he believes that his organization can help. 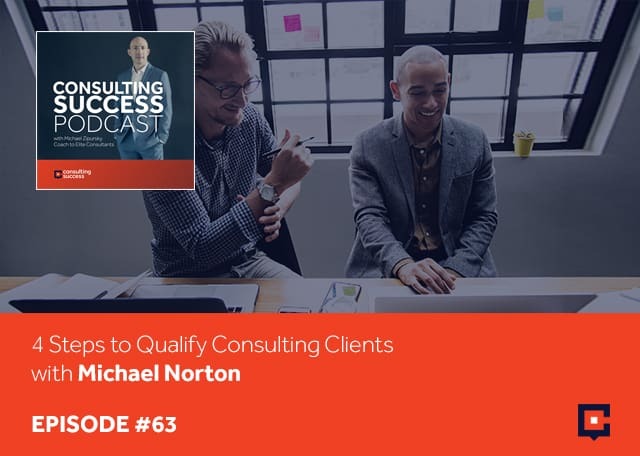 He outlines the steps to qualify consulting clients to be able to sit down with them, have a meaningful conversation, and then get to the proposal stage. I’m very excited to have Michael Norton joining us. Michael, welcome. I’m terrific, thank you. I’m glad that you’re joining us. I’m the Executive Vice President of Corporate Training for Sandler. What that means is that we have 250 training centers around the globe and about more than 500 trainers attached to those training centers. Every time that one of our locally operated and owned training centers runs across an opportunity, that might be larger in scale than they would like to work on in their market or it might be more complex. 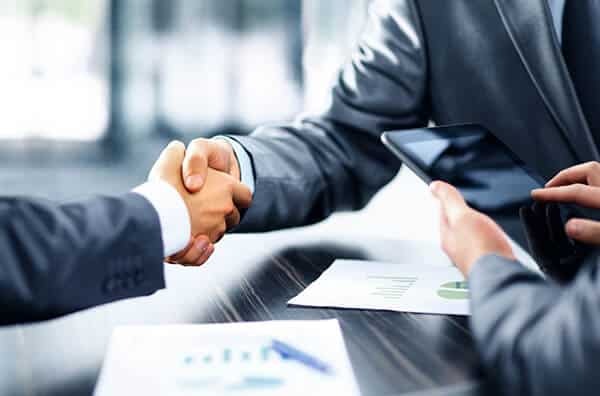 They will look for assistance from my team and we will help with everything from presentations, proposals, sales process, implementation, delivery, reinforcement, to make sure we have a successful and satisfied client. I’d certainly want to dive more into that and learn more about the work that you’re doing, but let’s start by going back a little bit in time. When I was doing some research into your background, I saw that you started as a sales manager then in Business Development at WebMD before starting your own business and then you went back into working as part of an organization. Take us through a little bit of that journey in that time for you. Early in my career, I started out purely as a salesman. Even if I went back before my days at WebMD, I started in healthcare calling on physicians and hospitals and just developed a passion for selling but more than that, a passion for personal professional development. During that time in the mid to late ‘80s, I discovered a guy by the name of Zig Ziglar. Somebody introduced me to his content and I’ll never forget putting in those cassette tapes in my car for the first time. It basically changed my life and my desire to go from not just being a salesperson but to pursue a path in sales, taking it all the way from salesperson to sales manager to vice president of sales and eventually starting my own company that was designed to build and help professionals within the selling organization. You were the president or somewhere at the top level within Zig Ziglar’s company for a period of about four years or so. Back in 1998, when I left WebMD, I started my own company and it was called SalesRepsOnline.com. It was the very first attempt by anybody to do micro-learning for salespeople. What we did is we partnered with people like Tom Hopkins, Zig Ziglar, Denis Waitley, Tony Parinello and a host of other authors and experts. We took their content and this was before there were audio and video. All we did was segment the content based on everything that was in those programs and chunk them down into small bite-sized adjustable responses. You can basically go to that site and type in, “Getting past the gatekeeper, prices too high, or I’m already happy with my current supplier,” and you would get the way that all of those experts would answer that objection. We successfully took that from 1998 and we built that. We partnered with SalesForce.com when they went live, and we sold to Siebel Systems in 2000. After we sold to Siebel Systems, Zig had asked me to stay on with his organization as early as 2001 where I started as a consultant and an Executive Vice President of Sales there and eventually President of the company. Zig Ziglar, a true legend in the industry. What was that experience like working within that organization? I still pinch myself every day that I had the opportunity to know Mr. Ziglar, know the team at Ziglar, his son, Tom, who still runs the company. I got to know a lot of the authors and experts, and I spent a lot of time because I rebuilt that company in 2006 and we had audio and video there. I bring this up only because at that point, we had 150 authors and experts who were part of that program so I got to meet many authors, experts, motivational speaker, sales trainers and Zig was so genuine in everything he did. What you saw on stage was exactly what you saw off stage. What he wrote about in his books was the way he lived his life. He was the most consistent and genuine person I have met in my life. It was a pleasure to work for him. How important do you think consistency is in sales? It’s everything. I’ve listened to a few of your other podcast and people you’ve had on when people talking about sales methodology or process, you have to have a repeatable process. The days of winging it are over. The good old boys and the pat on the back and going in thinking you build your network off of relationships. Relationships are strong, people are still buying from people, but you have to have a repeatable process that you can fall back on because if you don’t have that process and consistency, you’re going to fall into the buyer’s process. Consistency isn’t just about your technique. Consistency is about the average that you do every day. The consistency is in your attitude every day. One of the things that we’re excited about it at Sandler is we partnered with the Ziglar organization exclusively. If you think about Mr. Ziglar being famous for motivation, attitude and technique, at Sandler being just behavior and having a true repeatable selling system with technique. Now we have behavior, attitude and technique all in one place. If you can be consistent with your behavior, your attitude and your techniques, then you can go toe to toe with any competitor in any selling situation. There are a lot of people who are working on building their consulting businesses. They may already have a process in place for their marketing or for their selling yet they’re not getting the results that they want. Oftentimes, when I’ve had conversations with people in these situations, it’s because they’re not working the plan, even though they have the plan in front of them. From your experience, because I’m quite sure that you’ve seen this as well, what do you believe are the biggest reasons or just even the most common reason for people to not take action on a plan that deep down inside they probably know will work, but there’s something holding them back? Usually what’s holding them back is their own head trash. It’s their own attitude. I’ve seen it happen time and time again. People get excited about what they’re about to do, especially consultants who might have been working for an organization. Before they left that organization to start their own business, they’ve got really excited and fired up. They wrote their business plan, they wrote their marketing plan, they talked to people who are going to support them and that will maybe give them leads. They were very excited and then all of a sudden, one skeptic looks at it and says, “Are you sure you want to do that? Do you think that’s a safe bet?” Before you know it, that negative thinking and negative self-talk usurps the positive belief that they had and all that energy. The first thing that happens with why people don’t work their plan is because they talk themselves out of work in their planning. You mentioned that your role within your organization there is to support the other people in the organization to help them with proposals and contracts presentations and so forth. I’m very interested to learn a little more about that. When you go in and you have someone within your organization identify an opportunity, how do you approach making a presentation? 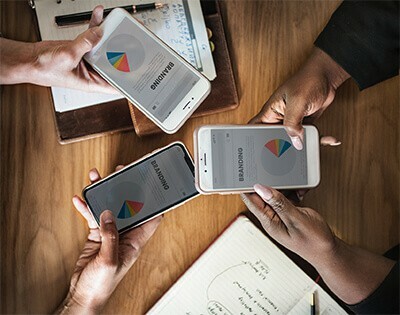 I think a lot of people approach it from the perspective that they think presentation equals PowerPoint and there are a lot of different thoughts around this. What does your process look like once you’ve identified an ideal client, someone that you believe that your organization can help? What are the steps that you go through to actually be able to sit down with them, have a meaningful conversation, and then get it to the proposal stage? I’ll back up to what you said about the PowerPoint presentation. I don’t think in my history over my entire career that I’ve ever won an opportunity based on the PowerPoint that I either delivered or sent to somebody. That’s not how this business is done. For us, it’s all about qualification. It’s all about a conversation. The Zig Ziglar selling model and the Sandler selling system, we’re based on having an adult-to-adult, truth-based conversation where both parties feel very comfortable sharing information. If it’s a fit, great. If it’s not, it’s okay to walk away. This is a tough business. Selling sales training or selling personal development is a tough business because people want to see your content. They want to see what you have, but more importantly, they want to see you live out what you’re teaching. If I showed up at a presentation for somebody who expressed an interest in sales training or management training or leadership training, and I brought with me a PowerPoint and in that I said, “The first thing you do before you build a PowerPoint is to have a good understanding of what needs to happen. You have to have permission to ask questions, even tough questions. You have to get their agenda on the table and then dig in and do some effective questioning strategies to get the real root of what they’re trying to solve.” If I showed up with a PowerPoint and did that before I did the questioning and the problem solving, I just negated everything that I’m saying in my own PowerPoint. For us, it’s the first step. The PowerPoint might not happen for the second and third meeting if it ever happens at all. For us, it’s more about getting in front of a whiteboard or flip chart paper or having everybody around the table and just having a meaningful discussion, to find out if their situation and what they’re trying to fix is something that we can fix with our products and services. Is there a go-to question that you ask that you feel helped you to qualify whether or not the person or group of people that you are sitting with or speaking to is a fit or is not? It’s not one question. I think what we look at are four specific areas. It’s funny you’re asking me this because I just went through this with a sales team. 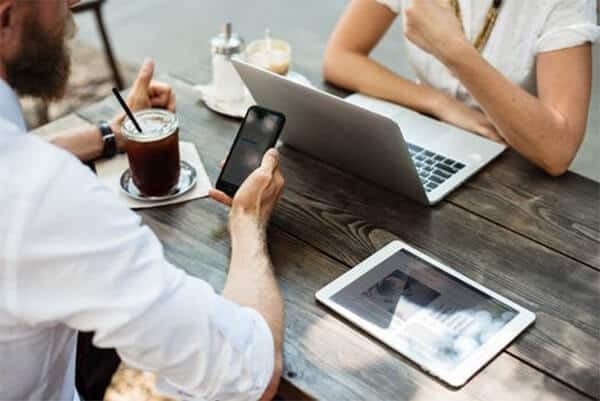 It depends on you having your first initial protocol, what information do you need to get in order to agree to invest your time in the second call or third call or go to a meeting or a face-to-face meeting. As a salesperson, you have to qualify the prospect just as much as they’re qualifying you to see if you’re fit. For us, it’s all about what is there and what are they trying to solve. Even if they can’t get into the nitty-gritty about what their pain points are or what they’re trying to solve, we need at least some surface level information to agree to have the next call. The second thing is you have to talk about priority and timing and urgency. Is this something that’s going to happen in 2018? Is this a 2019 initiative? In some cases based on the product or service, is this something that’s planning out in 2020 for a massive initiative? The third thing would be, is there a budget or do budget have to be created and then how will the decision process be made? You don’t have to tell me if you’re the ultimate decision-maker because people are going to tell you that they are, whether they are or aren’t. What you want to vet out is how that decision is going to be made. Is it going to be made over a series of meetings with other potential partners or vendors? Is it going to be decisioned by committee? Will there be an RFP? If we can understand pain, timing, urgency and priority, if we can understand the budget and how decisions are made, that will allow us to move and agree that we’ve got enough information and we feel it’s worthy of our time to continue to go. I love the way that you’ve broken that process down. That’s going to be very helpful for a lot of people who are reading this. You’ve gone through that. You’ve qualified them as an ideal client or as a true buyer. You’re not moving forward in that discussion. Talk to me a little about how you handle proposals. What are some of the best practices or what are maybe some of the big mistakes that you see people make that others could benefit from? Failure is a great teacher. Early in my career, regardless of what it was that I was selling, I always felt excited and very optimistic if I was going to deliver a proposal to somebody. That surely had to mean that they were going to buy from me, that my chances were exceptional. As I grew, I found out that was not always the case. The best practice for proposal is before you ever send a proposal, write the proposal with your prospect. Make sure you have an internal coach or a champion or a white knight, whatever terminology you’d like to use. If the person who’s asked you to submit a proposal isn’t willing to spend time with you to review it before they are going to submit it to the decision-making committee or the ultimate decision-maker, that proposal is going nowhere. What does that look like? Do you draft it up yourself first and then send to them and have a phone call to discuss it? Are you sitting down together from scratch and putting it together? What are you finding is the best practice for you? Typically, most people and we do it at Sandler and Ziglar as well, we have a standard template for proposal. Inside that template, you’re going to talk about typical terms and conditions, business terminology, but you’re going to have your scope of services and your deliverables. That’s going to be spelled out in that proposal. That’s the part I want them to work on with me. I’m willing to either go over to meeting or I prefer to do it in person if it’s a big enough opportunity. 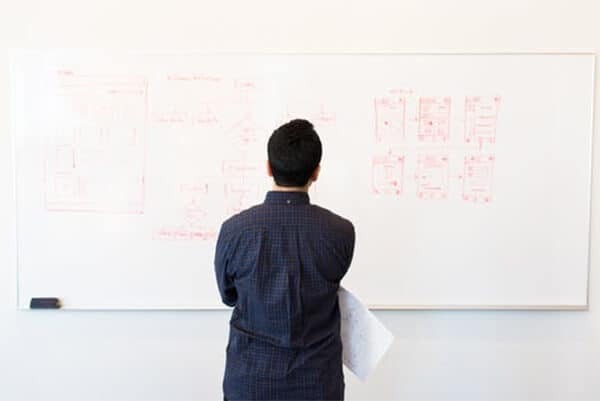 Get in front of a whiteboard or flip chart paper, you’re going to storyboard it out together, “Here’s phase one, phase two, phase three, here’s what’s going to happen in those phases. Here’s the timeline for those phases. Here’s the number of people who will come through training or coaching or whatever we’re selling and here’s the budget for each phase.” They are co-creating with me. I’ll take that data and that information and I’ll put it to my template. Then I’ll also agree on what the budget is, the payment terms, because that’s going to be included in the proposal, how they’re going to go forward. When they present that internally, that’s something that they feel very good about. They themselves can explain it to whoever is going to approve that proposal. They’ve co-created, so that’s what that looks like. There are many sales training companies around and there are many leadership consultants and management consultants. I’m very interested to hear from you what you found to be the most important to focus on to ensure that your company stands out and continues to win business when you’re surrounded by many other organizations that say they offer essentially the same thing. What could others learn from that that they might be able to apply to their own business? There are some great training organizations out there. I’ve been doing this long enough. I’ve met most of them and know most of the leaders and executives at those companies. 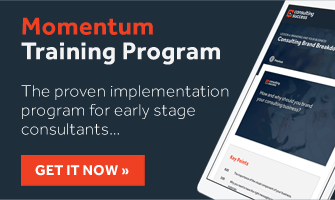 There are now probably more small, medium-sized training organizations or even independent consultants who are in there going after the business as well. If you line up side-by-side everybody’s sales process or methodology, you’re going to see a lot of similarities. Not one of us is going to be so unique when you look at what we do because we delivered the presentation right after one of my competitors and we were told, “You pretty much have a couple of nuances, but you’re pretty identical.” Even before I came to Sandler in 2010 when Mr. Ziglar retired in 2010, we had a partnership with Sandler and that’s how he ended up over here. David Sandler, the Founder of Sandler, is so far ahead of his time. They spend so much time and energy thought around reinforcement and how to make it stick. It’s not just about going in and doing event-based training. You can go in and do a great keynote, go and do a great one or two-day training. If you do not back that up, you’re not supporting the management and leadership with the coaching techniques and principles to reinforce that material. If you don’t make it easy for the salespeople to get their hands on the content, not just the dusty three-ring binder that’s sitting on a bookshelf that they’ll never open again. What are all the ways you can give them access to the content, keep revisiting it and help the managers become successful at coaching to it in the trainer’s absence? That’s where Sandler makes a real difference. We have years and years of power and reinforcement. How do you communicate that? Is it through the conversation? I can see how that would be very beneficial and I think regardless of what type of consulting and what industry someone is in, looking at finding an advantage like that, something that you can provide that others don’t or something that you can provide that you’re able to communicate in a better way than others might be able to, how are you able to communicate that you are providing not just the training but so much more around the reinforcement and ongoing coaching and ongoing support that really makes a difference? Is it about bringing in statistics or data or studies to support that? Is it something that you have almost like a slide or a section on your website that you point people to? How do you get that value across to ideal clients? All of the above are some of the tools you can use. You can have case studies. You can have independent reports. You can talk about return on investment metrics, key performance indicators that will change it. It will show people what they will achieve if they will follow this path, if they are going on this journey. I’m going to share this with anybody who’s reading this, who’s a consultant who sells in this industry because to me, my belief system is I have an abundance mentality. I would love us all to be successful. There’s money everywhere out there. Every company needs help. They don’t have to be broken to need help. There are people who are operating at a high level. They just want to operate higher. I call it the three Cs: confidence, confidence and confidence. Confidence in yourself, confidence in your products and services, and confidence in your company that you’re going to stand behind those products and services that you’re going to deliver. If you have those three levels of confidence, then you move to conviction. This is where I’ll share with your audience here because I would love for us to all be successful. The reason my conviction is so strong about that is that our brand, the worst thing that could possibly happen to us is I take big company name or a high-profile company that says, “Yes, we want to go with Sandler or Zig Ziglar content. We’d love you to come in and train our salespeople, but we’re not going to do it with managers, maybe we’ll do them later.” A year or two down the road, that’s not going to work. They’re not going to get the results they wanted and then we get the black eye. They’ll say, “We tried Sandler and it didn’t work.” My conviction is absolute. If the management and leadership are not behind it, I’m not going to do the program. What a great lesson. I want to thank you for sharing some of your wisdom here with us and a little bit of your journey as well. I’ve enjoyed this and I think that everyone reading this will surely get a lot out of it. What’s the best way for people to learn more about you and your work? You can visit me on LinkedIn, Michael Norton, Executive Vice President, Corporate accounts for Sandler. I’m also the President of the Zig Ziglar Corporate Training Organization since we partnered with them. I’m back to running the Ziglar side of the business. Michael, thank you. I appreciate you.